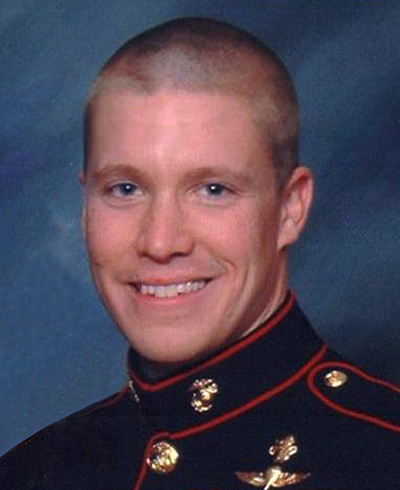 Born in Zeeland, MI and a native of Holland, MI, Gunnery Sergeant Daniel Price enlisted in the Marine Corps in July 2003. GySgt. Price began his career as a Reconnaissance Marine with 1st Reconnaissance Battalion, Camp Pendleton, CA, and joined MARSOC in January 2008. GySgt. Price was home schooled, grew up and worked on a farm, loved the outdoors and was very active in the local 4-H club raising animals. He deployed in support of both Operation Iraqi Freedom and Operation Enduring Freedom, and was meritoriously promoted to Sergeant during a tour to Iraq. While deployed with Team 8232 from H&S Co., 1st MSOB, GySgt. Price was on a routine cordon and search mission near Bala Bokan when his patrol was fired upon from an enemy machine gun position, killing GySgt. Price and another team member. GySgt. Price’s personal decorations include the Silver Star awarded posthumously in July 2014, Bronze Star with combat V, two Purple Hearts, three Combat Action Ribbons and three Good Conduct Medals.